Gazelle Twin is a moniker for independent artist, Elizabeth Bernholz. Her musical output takes an unconventional approach to production and live performance, featuring changing personas, themes and multiple genres. 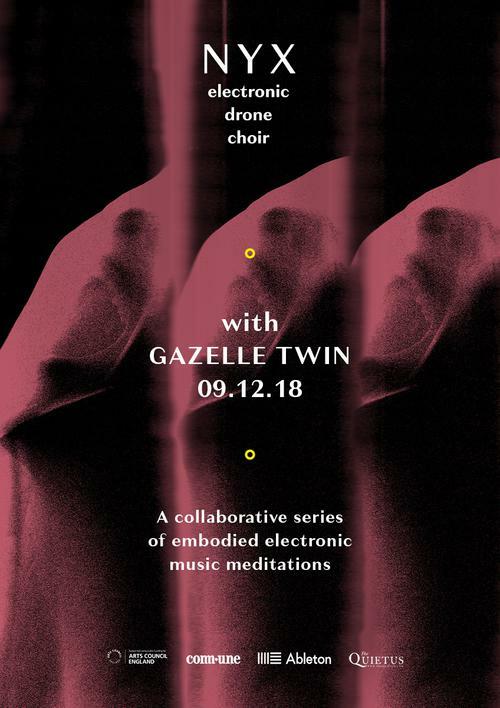 Gazelle Twin released new album Pastoral this month, her new tracks overflowing with a frenzy of traditional and contemporary musical tropes; from early music instrumentation - the harpsichord and the humble recorder, fed through myriad electronics - to the compelling, ritualistic application of found sample-looping. Belinda is a poet, writer and educator who lives and works in London. Her poetry mainly focuses on her journey of growing up in Zimbabwe and adulthood living in London. She’s co-founder & host of poetry social & zine press, BORN::FREE. Belinda is the author of Small Inheritances (ignition press, 2018). The former 2016/17 ICA Associate Poet has performed at venues and festivals such as TATE and Bestival + was shortlisted for 2015/16 Young Poet Laureate. Anna Wall has been prevalent on the DJ circuit for the best part of eight years - from stints at ://about blank in Berlin to fabric nightclub in London. She’s known for displaying a unique knowledge of a multitude of genres supported via her vinyl label The Bricks and monthly KMAH Radio show. One of her recent projects includes a series of ambient shows featuring music she’s made and collected from all over the world both classic and current. From remastered Brian Eno and Grouper to emerging artists like Penelope Trappes and Alexey Seliverstov. Check out other shows in the NYX series with: Iona Fortune and Alicia Jane Turner (with Dead Light).